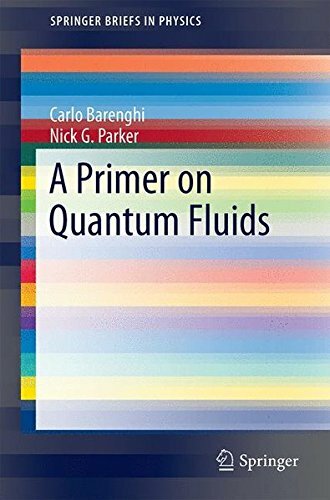 This book introduces the theoretical description and properties of quantum fluids. The focus is on gaseous atomic Bose-Einstein condensates and, to a minor extent, superfluid helium, but the underlying concepts are relevant to other forms of quantum fluids such as polariton and photonic condensates. The book is pitched at the level of advanced undergraduates and early postgraduate students. I aim to discuss a reasonably wide range of quantum-mechanical phenomena from condensed matter physics, with an emphasis mainly on physical ideas. The most important prerequisite is some understanding of second quantization for fermions and bosons. These lecture notes give a pedagogical introduction to phase transitions in disordered quantum systems and to the exotic Griffiths phases induced in their vicinity. The author also presents a number of experimental examples. These lecture notes are intended to supplement a graduate level course in condensed matter physics. From the table of contents: Introductory Information; Boltzmann Transport; Mesoscopia; Linear Response Theory; Magnetism.